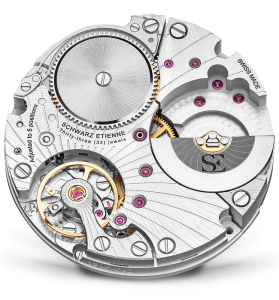 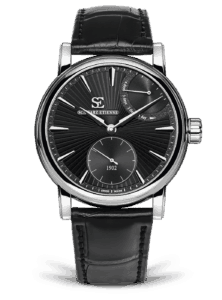 The TSE (Tourbillon Schwarz Etienne) caliber is the fourth evolution of the modular Schwarz Etienne movement concept, following on from the MSE, ASE and ISE. 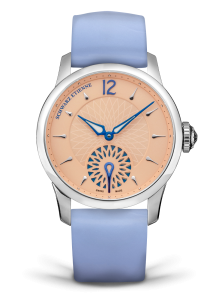 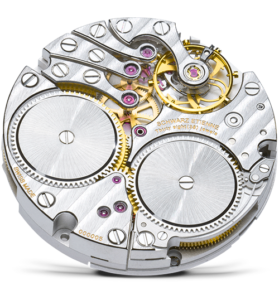 Like the ISE, it is an 'inverted' movement with automatic winding whose regulating organ and the micro-rotor are unveiled in an original manner. 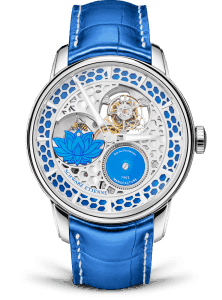 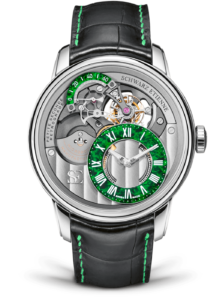 Its uniqueness lies in its regulator, a tourbillon minute whose hypnotic ballet comes into motion at 2 o'clock. 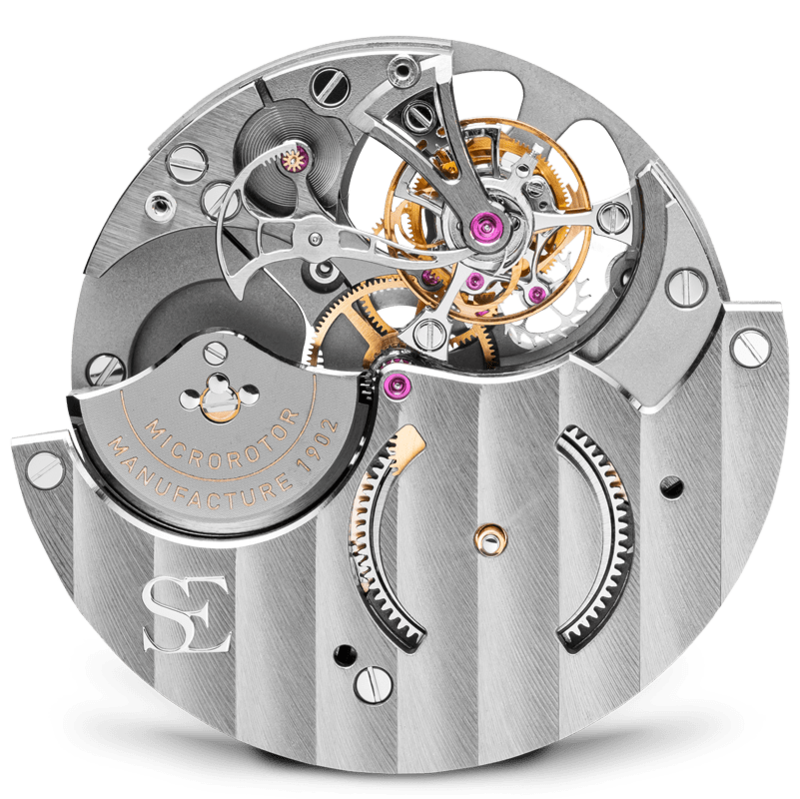 This exists in different versions, flying tourbillon or maintained by a bridge for the TSE 122.00 movement and its innovative small second retrograde. 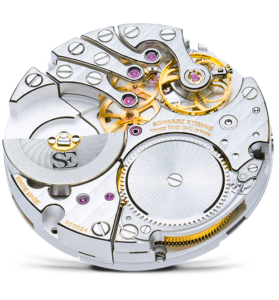 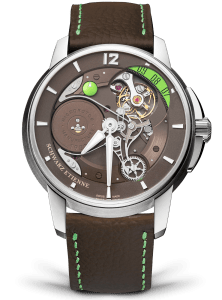 The TSE121.00 caliber is an authentic mechanical sculpture incorporating a micro-rotor and a flying tourbillon that turns in an anti-clockwise fashion. 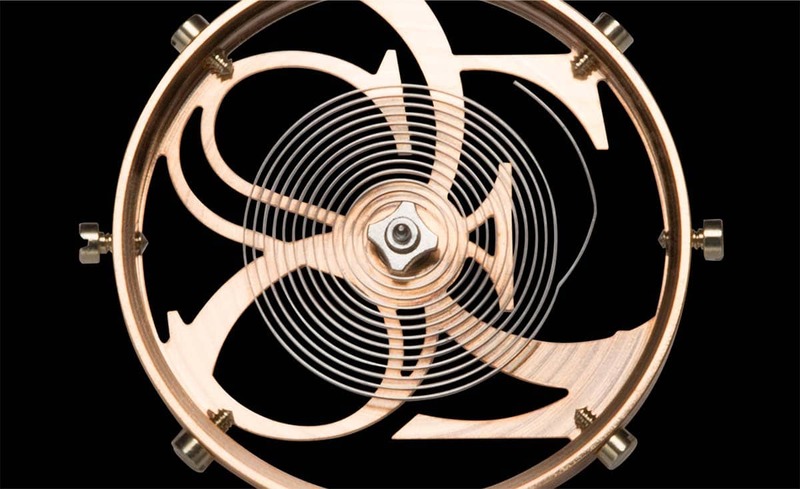 A flying tourbillon is a skewed construction where the tourbillon cage is held on one side only, offering an unimpeded view on its hypnotic ballet. 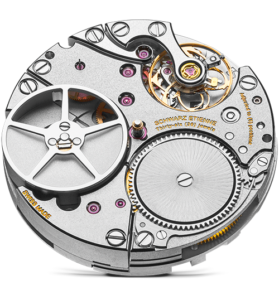 The caliber TSE PSR 122.00 is an evolution of the caliber TSE121.00 incorporating an original retrograde second indication. 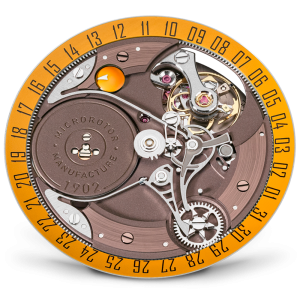 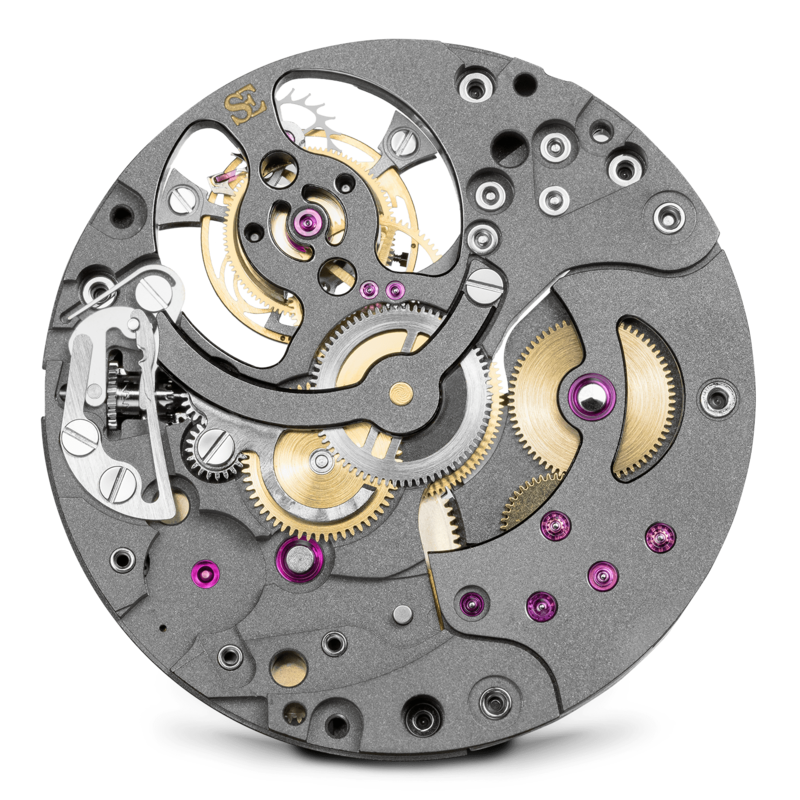 It is integrated in an unusual way, as its mechanism is built directly in connection with the Tourbillon. 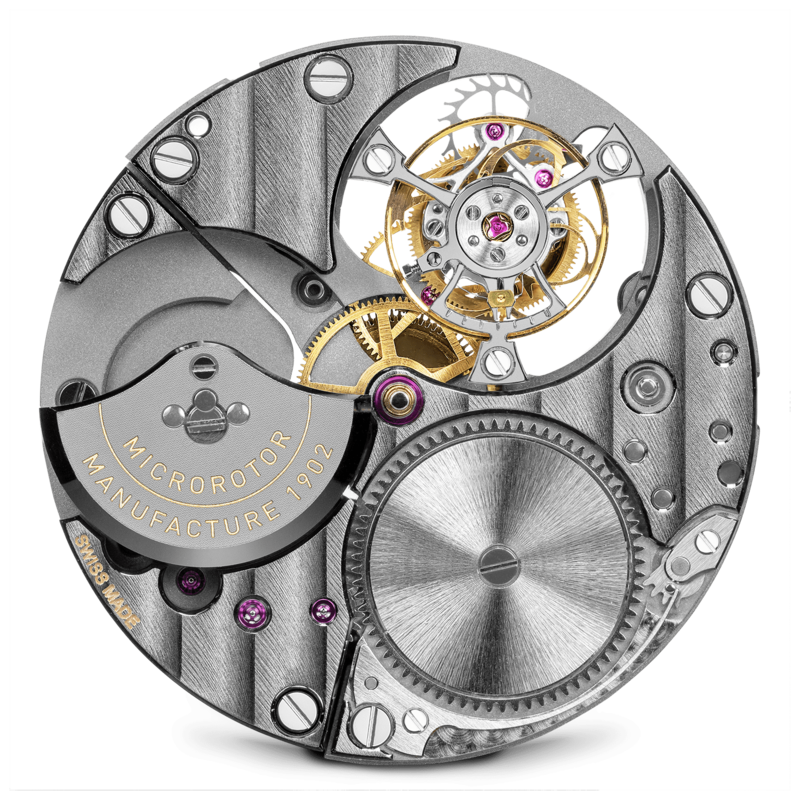 A snail cam is mounted on the tourbillon arbor. 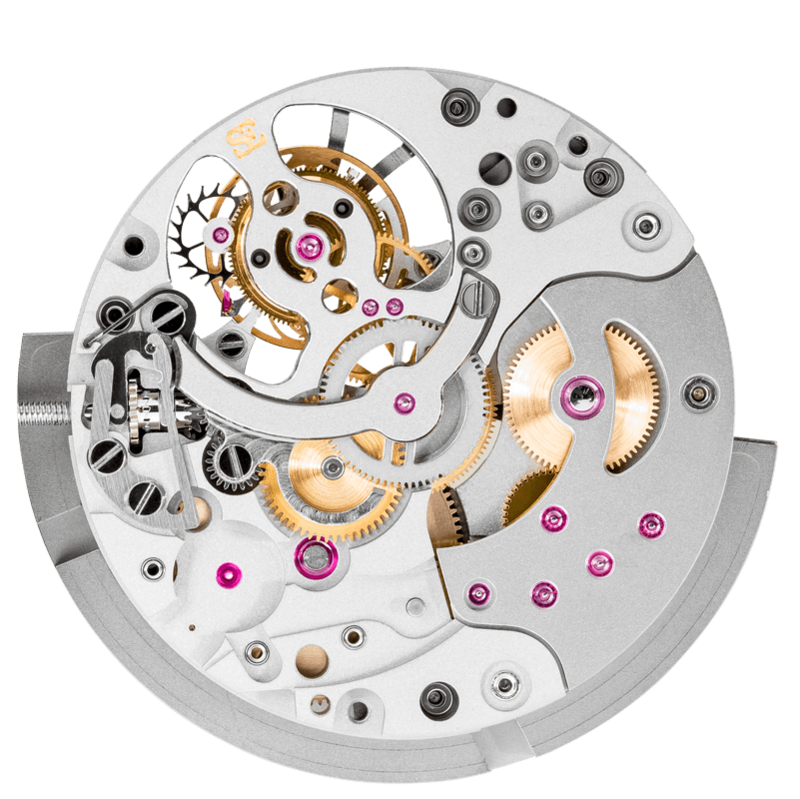 A ratchet gear is resting on this cam while the system is tensioned with a spring. 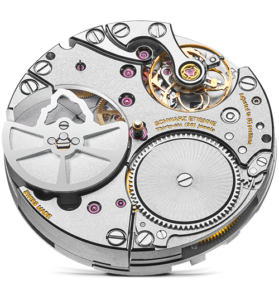 This allows for the small seconds hand to advance along an arc and then suddenly jump back to recommence at the starting point.